What Does Sodium Hyaluronate Do For The Skin? Home » What Does Sodium Hyaluronate Do For The Skin? Sodium hyaluronate is a natural biological molecule, widely existing in the skin and other tissues. It has an excellent moisturizing effect and is called the ideal Natural Moisturizing Factor internationally. It is currently the best moisturizing substance found in cosmetics in nature. Segmented sodium hyaluronate acts on the skin surface, macromolecule hyaluronic acid can form a permeable film on the skin surface, making the skin smooth and moist, and can block the invasion of foreign bacteria, dust, ultraviolet rays, protect the skin from invasion; small molecule hyaluronic acid can penetrate the dermis, with a slight expansion of capillaries, increasing blood circulation, improving intermediate metabolism, promoting skin nutrition absorption, has strong anti-wrinkle function, can increase skin elasticity and delay skin aging. Hyaluronic acid can also promote the proliferation and differentiation of epidermal cells, scavenge oxygen free radicals, prevent and repair skin damage. The aqueous solution of hyaluronic acid for skin has a high viscosity, which can thicken the aqueous phase, and the paste after emulsifying with the oil phase is uniform and delicate, which has a stable emulsification effect. Segmented hyaluronic acid is the best natural moisturizing ingredient in high-grade cosmetics. It has good solubility and can be added to any cosmetic products. It is widely used in cosmetics, such as cream, lotion, make-up water, essence, facial cleanser, bath shampoo, shampoo, hair care, mousse, lipstick and so on, with a general addition of 0.05-0.5%. In cosmetics, because of its special water-retaining effect, it is found in the nature of the best moisture-retaining properties of the substance, is internationally recognized as the ideal natural moisturizing factor. Sodium hyaluronate has been used as a moisturizer in cosmetics for nearly 20 years. Since HA has a good moisturizing effect and is a natural biological molecule widely existing in the skin and other tissues, it has been used in cosmetics since the 1980s. It is known as the ideal natural moisturizing factor, NMF. At present, the international HA cosmetics have expanded from the initial cream, lotion, make-up water, essence capsule, film paste to bath liquid, powder, lipstick, shampoo and conditioner, mousse and so on. Moisturizing effect is the most important role of HA in cosmetics. Compared with other moisturizers, its characteristic is that the relative humidity of the surrounding environment has less influence on its moisture retention. Moisturizing agents commonly used in cosmetics include glycerol and propylene glycol, sorbitol, polyethylene glycol, sodium lactate, sodium pyrrolidone carboxylate and so on. Its unique properties, is adapted to the skin in different seasons, different environmental humidity, such as dry winter and humid summer, the moisturizing effect of cosmetics requirements. The moisture retention of HA is related to Mr. The higher the Mr, the better the moisture retention. As a moisturizer, HA is seldom used alone, and is often used in conjunction with other moisturizers. HA is the inherent biological material of the skin. Exogenous HA is a supplement to the endogenous HA of the skin. HA can penetrate into skin epidermis, promote skin nutrition supply and waste excretion to prevent skin aging. Skin care is more important than other make-up. It has become the modern people’s sense of beauty. Skin burns caused by sun exposure, such as reddening, blackening, peeling, etc., are mainly caused by ultraviolet rays in the sun. HA promotes the regeneration of injured skin by promoting the proliferation and differentiation of epidermal cells and scavenging oxygen free radicals. Prior use also has some preventive effect. The mechanism of action is different from the ultraviolet absorbent commonly used in sunscreen. Therefore, the combination of HA and ultraviolet absorbent in sunscreen products has a synergistic effect: reducing ultraviolet radiation penetration and repairing the skin damage caused by a small amount of ultraviolet radiation penetration, playing a dual protective role. The combination of HA with EGF and heparin can accelerate the regeneration of epidermal cells and make the skin tender, smooth and elastic. When the skin is slightly burned and scalded, applying HA-containing cosmetics can relieve pain and accelerate the healing of the wounded skin. HA is a high molecular polymer with strong lubrication and film-forming properties. Skin care products containing HA have a clear lubrication and feel good. After being applied to the skin, a film can be formed on the surface of the skin, resulting in a good sense of smoothness and wetness of the skin, playing a protective role on the skin. HA-containing hair care products can form a film on the surface of the hair, play a role in moisturizing, lubricating, protecting hair, eliminating static electricity, so that hair is easy to comb, elegant and natural. 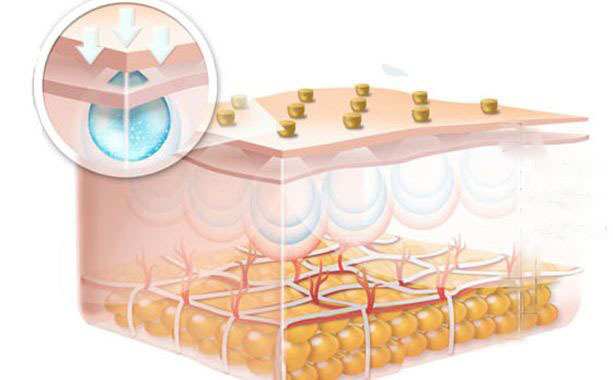 Hyaluronic acid exists widely in various tissues and cell interstitium of organisms. Hyaluronic acid was first isolated from the bovine vitreous body in Meyer, the USA in 1934. Early hyaluronic acid was mainly extracted from human umbilical cord and chicken comb, and now it is mainly extracted by microbial fermentation. Commodity hyaluronic acid is generally its form of sodium salt. 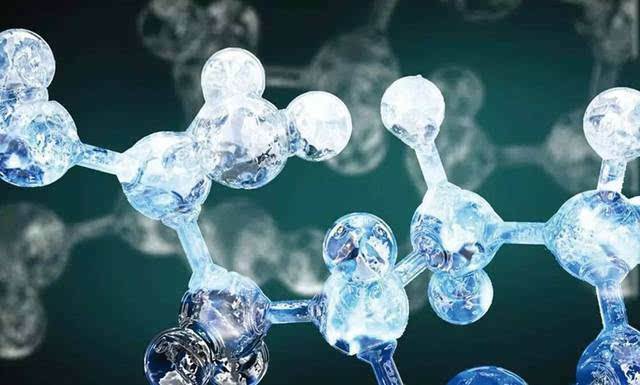 Sodium hyaluronate is recognized as a natural moisturizing factor, with the “1000 times water-locking capacity”, and it is a polysaccharide compound contained in the human body itself, with many other polymer compounds do not have compatibility and safety. Sodium hyaluronate has been widely used in human tissue engineering because of its high viscoelasticity. Sodium hyaluronate has thermal instability, and its viscosity and molecular weight are susceptible to changes in PH conditions. Therefore, sodium hyaluronate must be preserved at low temperature (such as < 8) and neutral conditions for a long time.